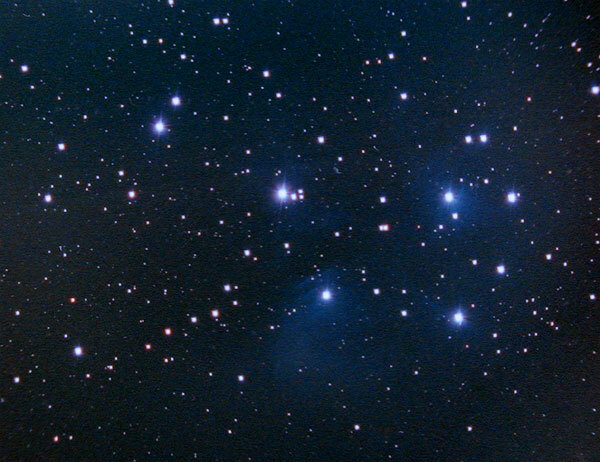 The Plejades, also known as Messier 45 are a very beautiful open cluster of young blue stars. The blue light of the brightest star is reflected by the interstellar medium which results in the blue reflection nebula visible in this picture. Bödele above Dornbirn, Vorarlberg, Austria (elev. ~1000m), temperature: -5°C.